Azopio is a collaborative Cloud platform that automates the collection and organization of your financial and administrative documents, and extracts key data from bills and receipts to help small and medium businesses to manage more efficiently their daily loads of paperwork, and gain time. 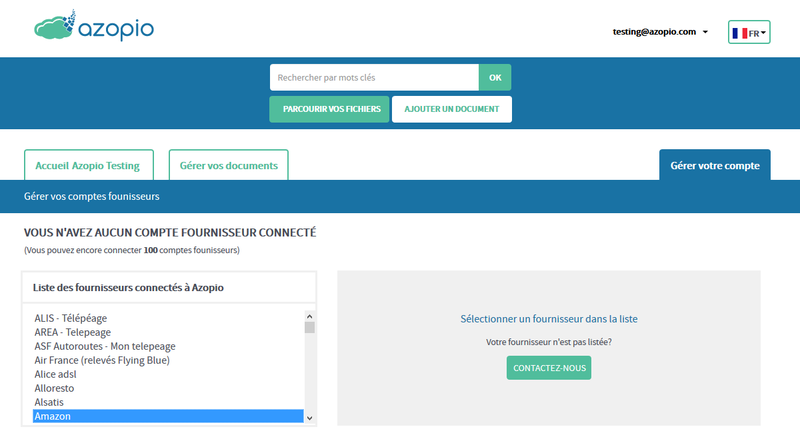 Azopio automatically fetches suppliers’ bills and invoices by collecting them directly onto the different web portals of your suppliers. Don’t waste any more time manually downloading each supplier invoices or bank statements, Azopio connects to your suppliers, and bank accounts to retrieve bills and bank transactions automatically. As for the invoices sent by email, they just need to be forwarded to your unique email address to be saved and processed onto your Azopio account. Thanks to its mobile application « Azopio Snap », receipts can be instantly photographed and sent in one click on the platform. All documents are therefore gathered at one place, but also automatically sorted by their chronological order and nature (i.e. a supplier bill, a client invoice, a receipt, bank transactions, or an administrative document). Any document is easily retrievable thanks to the powerful search engine and can be shared with your accountant! In addition to the document auto-fetching and auto-filing functionalities, Azopio automatically extracts key data from bills, receipts and bank statements. 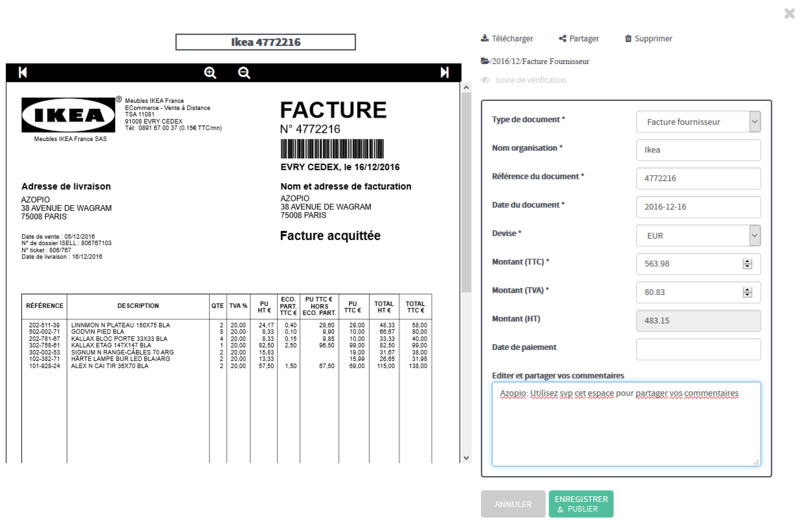 Thanks to a state-of-the-art data extraction technology, the software is able to analyze the content of, for example, an expense receipt, and pull in a few seconds, key information such as the name of the supplier, the date, the total amount including and excluding taxes, the tax amount, and its currency. Therefore the time and productivity gained enable businesses and their accounting firms to spend more time focusing on their core activities. Synchronize with Cloud services businesses are already using! Finally but not least, Azopio can connect to Cloud solutions small businesses are used to work with! In other words, Azopio enables filed documents to be dropped and archived into a second place (like Dropbox, Google Drive, Box, etc…) on the Cloud; thus this solution lets users free to keep their information on the storage solution of their choice. 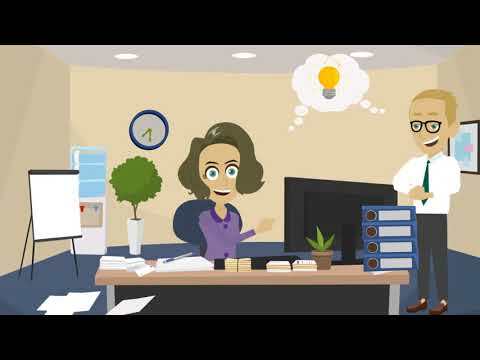 It is also possible to synchronize to online accounting software such as Quickbooks or Xero. Try Azopio for free on azopio.com, no credit card, no commitment, no time limit!